The more successful Jonathan Elias’s resale clothing Web site gets, the tougher it is on his eyes. Let’s explain: although Elias is president and CEO of ShopMyClothes,the Toronto startup remains bootstrapped. So he and COO AndrewMacdonald still personally review and approve every single posting onthe site, which is an online marketplace for buying and sellinghigh-end used clothing. To put that into perspective, about 7,000 items have been posted onshopmyclothes.com since it was launched in 2009. So Elias has looked atthousands of pictures of previously enjoyed designer duds to make surethey meet his Web site’s content and quality standards. “I’m convinced that one day I’m gonna need glasses from this,” Eliasjokes. The two execs review each posting to ensure their site’s contentremains true to its focus on premium used clothing, shoes andaccessories (you won’t find any faded Old Navy t-shirts for five buckson this site). The average used item on the ShopMyClothes sells for $80to $100, about 25 to 30 per cent off their original prices. It’s aniche the company purposely targets to set it apart from some otherresale sites like eBay, Craigslist or Kijiji, Macdonald says. “Quality of items differentiates our site from competitor sites,” hesays. There are similar designer clothing resale sites on the Web, includingStylerecovery.com, but that one takes a percentage commission on eachtransaction whereas ShopMyClothes is free for users. ShopMyClothesgenerates revenue through ads only, but is considering sponsored posts,content and partnerships in future, though again with an eye to ad andsponsorship content in line with its focus on premium brands. Though Macdonald says the site “will always be free,” the team islooking at new ways to drive revenue, such as paid positioning forpostings (since “items featured on the front page of our site get fourto six times more hits than items in the back pages,” he says). Eliasand Macdonald are also toying with the idea of adding features like afeedback section, a user’s forum and written fashion features or blogs. 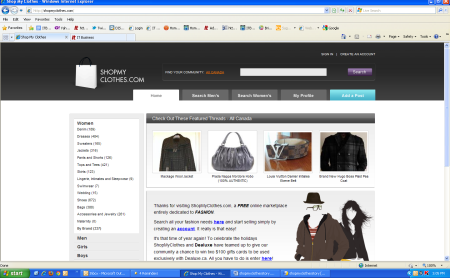 Another way ShopMyClothes tries to stand out from its rivals is withits search tools. While many resale sites allow users to search withinvery general categories by typing in key words, the drop-down menu onShopMyClothes lists numerous specific categories by item, size, genderand brand. Unlike eBay, no financial transactions can be completed on the actualShopMyClothes site. But as with Kijiji and Craigslist, fashionistabuyers and sellers must exchange goods for money when they meet inperson after connecting on ShopMyClothes. “We feel (meeting in person) is really important for fashion items,especially when you want to try (merchandise) on for fit and feel andmake sure the item is as described,” Macdonald says. Elias honed his fashion chops in the big-label rag trade as amerchandiser for Gap Inc. When he left that gig in San Francisco tocome home to Toronto in 2007, he searched the Web for a way to offloadall the clothes he no longer wanted. After turning that idea intoShopMyClothes and getting his site online, he teamed up with Macdonald(an Ivey grad who worked as a management consultant) in early 2011to add more business heft to the operation. 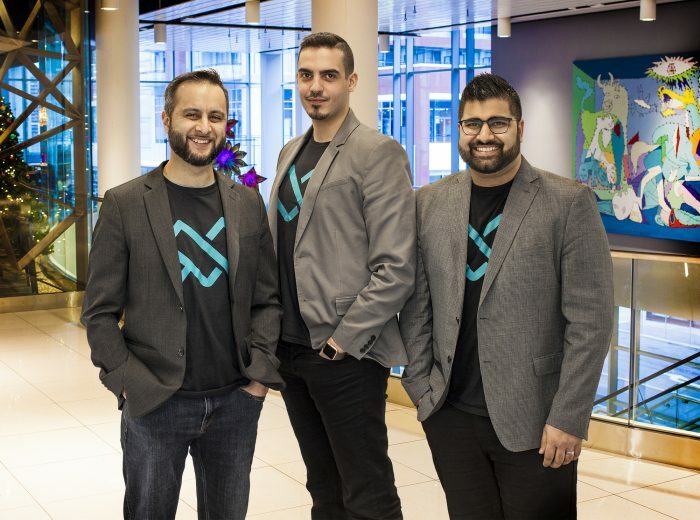 ShopMyClothes is one of the startups being mentored under the IT,communications and entertainment (ICE) program at the MaRS DiscoveryDistrict and also has its offices on the MaRS campus. There are nowfour part-time staff working for the company, which is eyeing plans toeventually expand its presence outside its Toronto base to fashioncapitals like New York. The popularity of the site is growing, with 20,000 unique visitors inthe month of December and around 100,000 page views per month. All thatactivity could mean more posted items for Elias and Macdonald to poreover. “We may have to outsource it eventually,” Macdonald says. If he ever needs them, at least Elias could probably find a groovy pairof designer specs on his own site.